Fifteen years after the end of "Seinfeld," Jerry’s Webby award shows he’s a master of comedy and changing times. The Webbys, to avoid the oppressive yada yada yada that can smother awards ceremonies, mercifully limit acceptance speeches to five words. So as Jerry Seinfeld gets ready to pick up his spring-like trophy Tuesday for Outstanding Comedic Performance, here's a humble suggestion for his thank-you note: "Master of my (web) domain." Seinfeld is being honored for his often-hilarious online series, “Comedians in Cars Getting Coffee,” which is exactly what the title implies. The show, with its Webby-friendly five-word title, goes a long way to proving Seinfeld remains a master not only of humor, but of the times. Timing, in comedy, is everything – even for the man who made a fortune out of nothing: The Webby Award comes just days after the 15th anniversary of the final episode of "Seinfeld" – as well as during YouTube’s first "Comedy Week" and smack in the middle of an online humor explosion. Seinfeld is both a fresh force in the breakout trend and an enduring influence across multiple platforms, a generation after his show ended with him cracking jokes from prison. "Seinfeld" made it okay to fill sitcoms with characters who are selfish, antisocial and not necessarily likable – as we've seen with spiritual successors from both versions of "The Office" to "Louie" to "It's Always Sunny in Philadelphia" to "Curb Your Enthusiasm," the great exercise in comic misanthropy starring "Seinfeld" co-creator Larry David. Much of the humor from Seinfeld's classic NBC show stemmed from silly coincidence. We’ll take it as quirky happenstance that the Webby kudos come as "Arrested Development," one TV’s most Seinfeldian post-"Seinfeld" sitcoms, gets set to return, via Netflix, after a seven-year Internet-driven campaign by fans. We'll also take it as a dose of "Seinfeld"-like whimsy that this week brings the third "Hangover" flick – ostensibly the last installment in a movie series coursing with its own twisted strain of "Seinfeld" DNA. 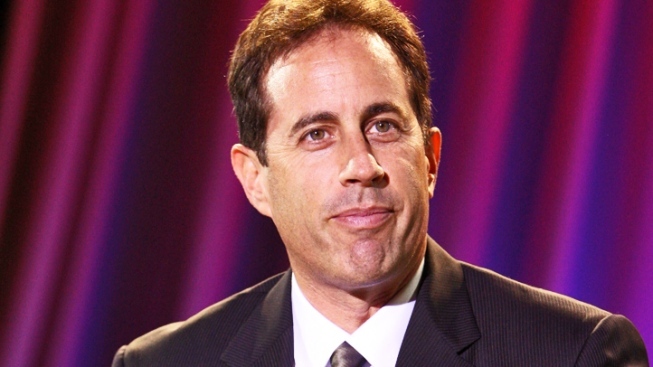 Seinfeld has bounced from medium to medium since his television show ended, with “Bee Movie,” his return to standup and his own admirable, if brief, attempt at TV producing with “The Marriage Ref.” He didn’t invent online comedy with “Comedians in Cars Getting Coffee,” but he’s added to the genre’s quality and credibility. Seinfeld is smart enough to diversify, much like Will Ferrell whose “Funny or Die” site might prove his most important contribution to comedy. The genius of Seinfeld’s observational humor is that he sees comedy everywhere. He also sees there are plenty of places to make us laugh – and that’s something.